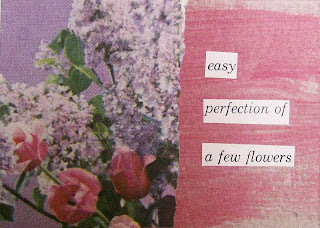 Made this little hay(na)ku card the other night with images and text from a Better Homes & Gardens book on flower arranging. 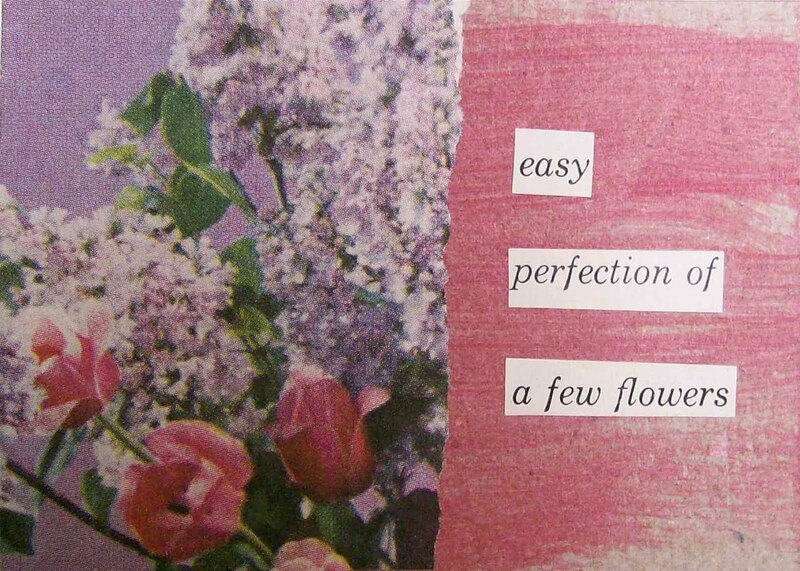 Originally uploaded by Mandy L.
Of the collage/poetry pieces I've done lately, I like this one the best. The image is from a magazine ad I painted over with some cream-colored paint. This is collaged onto a piece of a cereal box, around 4x4 inches in size. This blog is now located at http://tinyblog.teenytiny.org/. More text from an old Family Circle and image from a book of photos of Washington. I like this image of the road so much that I really didn't want to alter it in any way, so it seemed like a good idea just to shape a tiny poem for it. Two tiny stanzas of hay(na)ku, collaged onto a trading-card-sized piece of recycled paperboard. The text is from a 1941 issue of The Family Circle, and the images are from a book of pictures of Washington state and a magazine that I painted over.